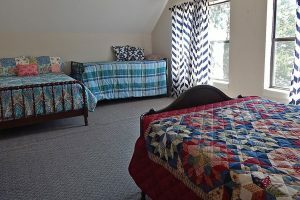 Welcome to our little piece of heaven at Papaws Place! 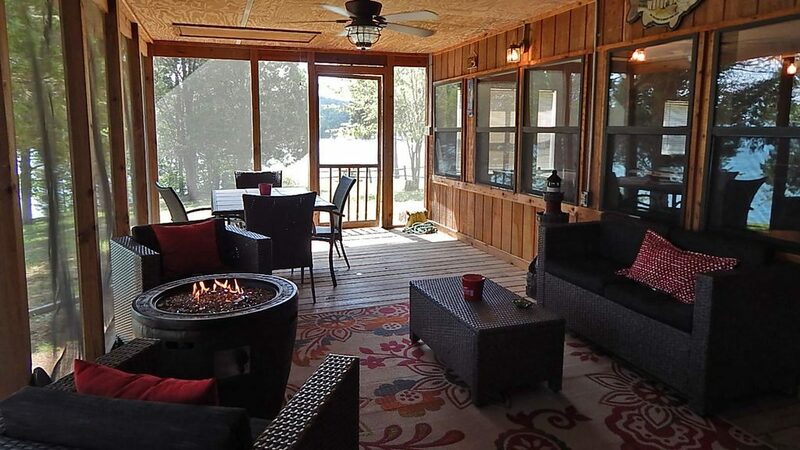 This little cabin boasts about 1,500 sq. 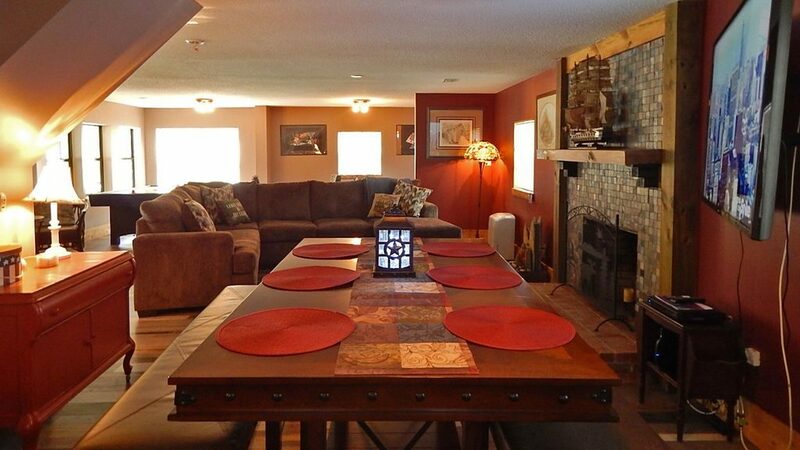 ft. of living space with windows lining the front of the house all overlooking the lake. 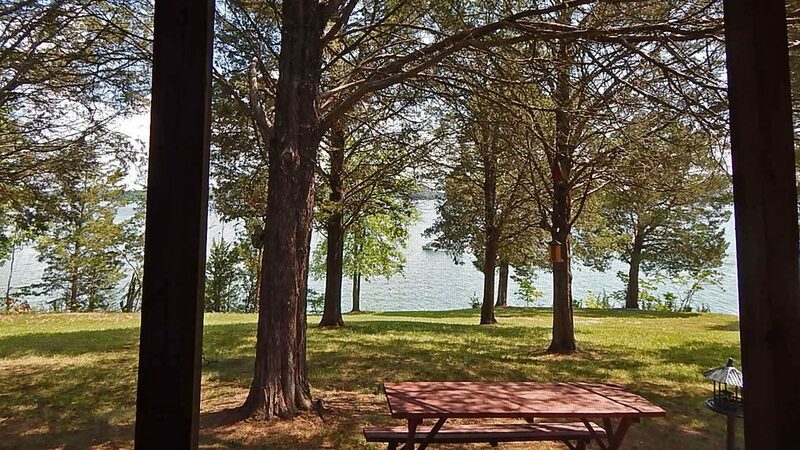 Lake views are massive here with year-round views and access. 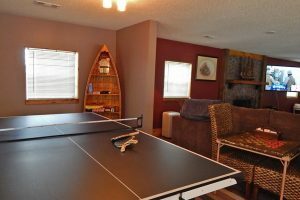 This cabin boasts a large screened-in front porch with gas grill, lots of comfortable furniture hanging chairs, picnic table and gas fire pit. 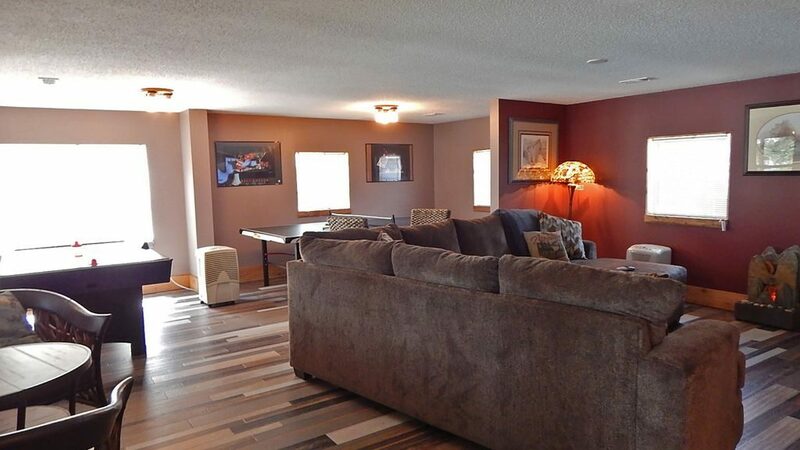 Inside the home, Papaws Place features all bamboo flooring throughout with carpet in the 2 upstairs bedrooms. 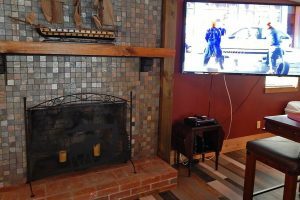 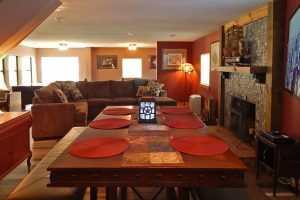 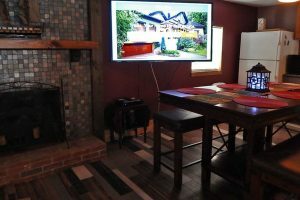 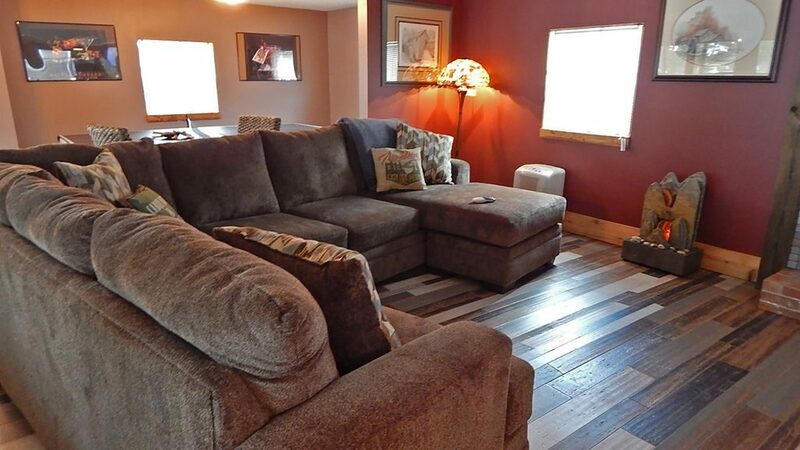 There is a gas log fireplace (open from Oct-Mar), large kitchen, den, and game room so everyone can hang out together. 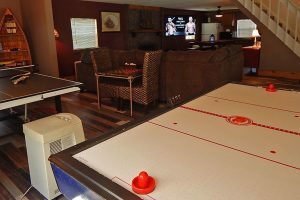 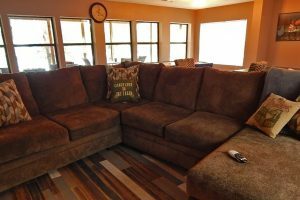 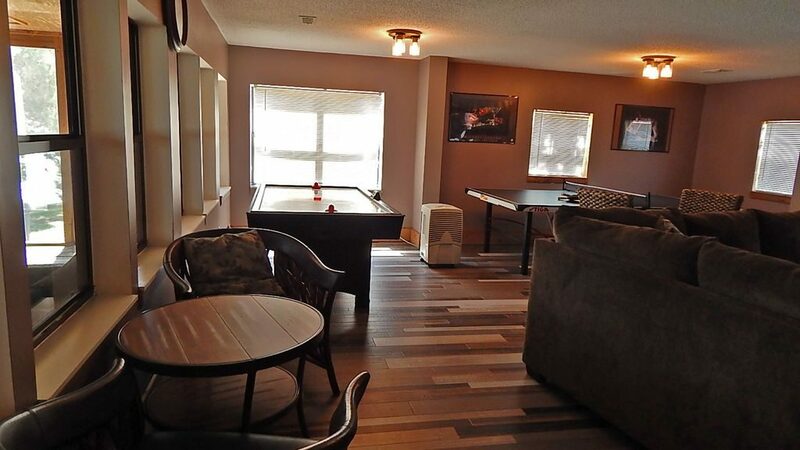 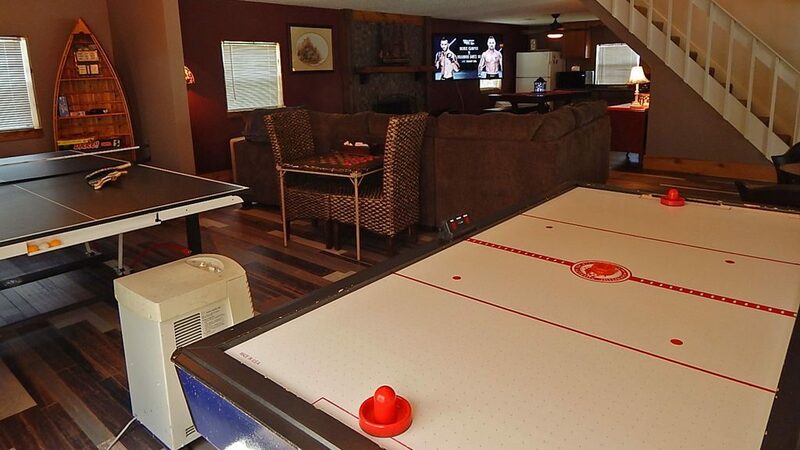 The den has a 65″ flat screen TV, very plush sectional sofa as well as a card/checkerboard table, a few board games, air hockey, ping pong and foosball.. surely enough to keep everyone busy! 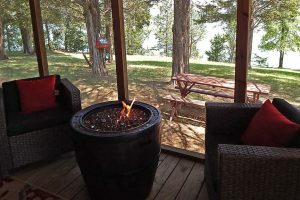 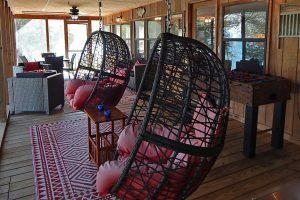 There is also a table with 2 chairs sitting by the windows overlooking the lake, making it a great place to enjoy a cup of coffee in the morning. 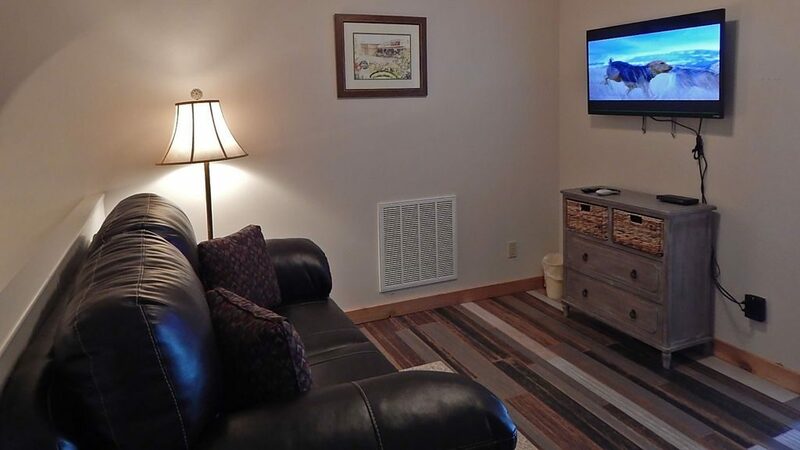 Papaws Place also has WiFi so you have the ability to do social media, surf the Web or work while you vacation. 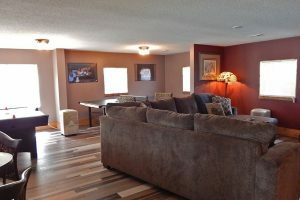 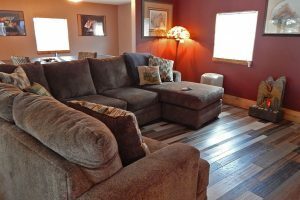 Upstairs there is also a small den area with leather couch and 46″ flat screen TV, so everyone has a place to watch what they want. 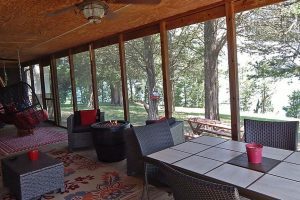 There is a large, flat shaded yard with a picnic table as well as very easy access to the dock. 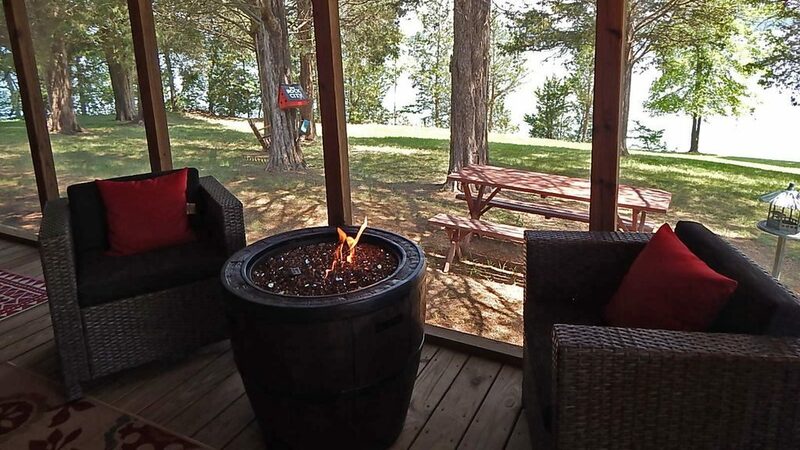 The views from this cabin are long range lake views that are year-round. 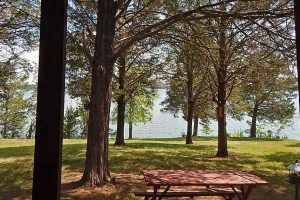 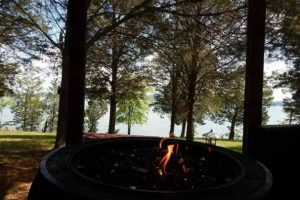 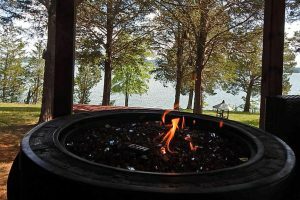 Papaws Place has a seasonal dock (open from April – Sept) and a year-round boat launch that is walking distance to the cabin. 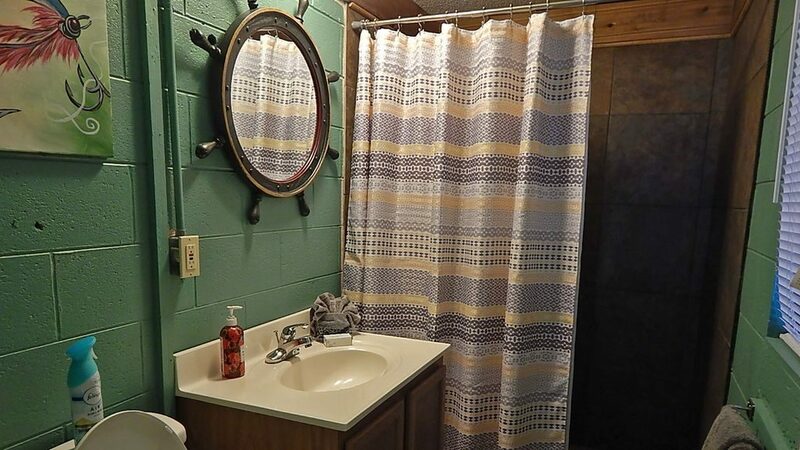 It feels like home as soon as you walk in! 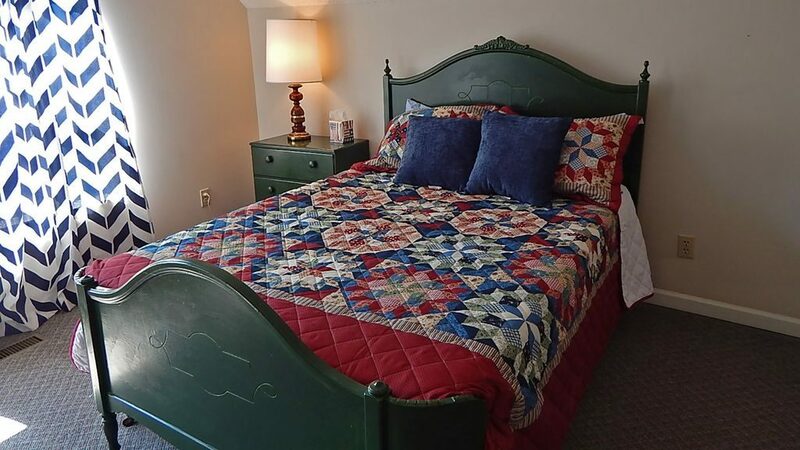 Papaws Place and make some great vacation memories! 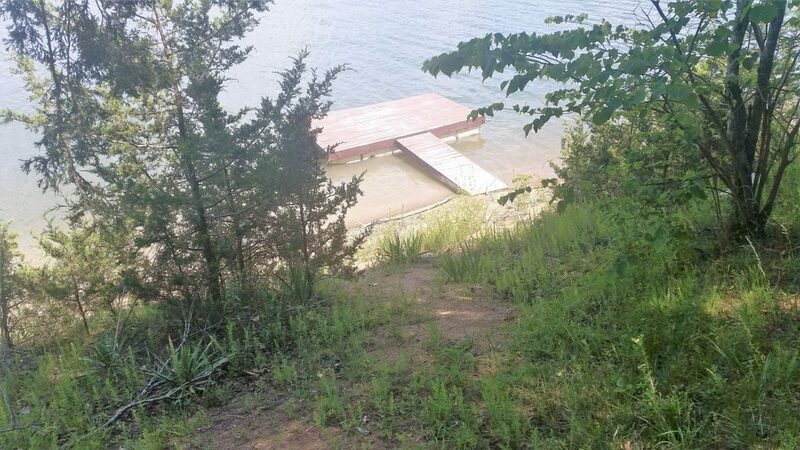 • Year round loading ramp. 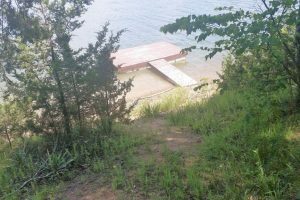 • Seasonal dock on the Muddy Creek section of the lake. 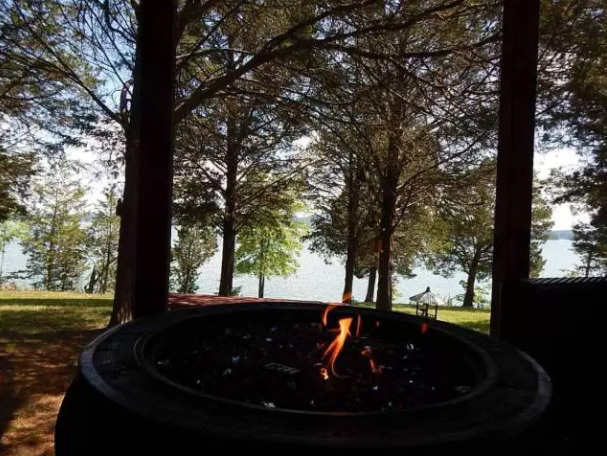 • Sevierville side of the lake. 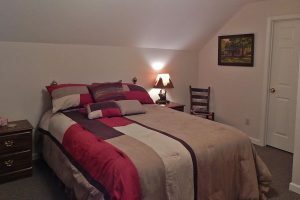 • 15-20 minutes to Pigeon Forge. 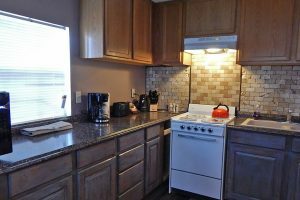 • 2 Bedrooms / 2 Baths / Sleeps 8. 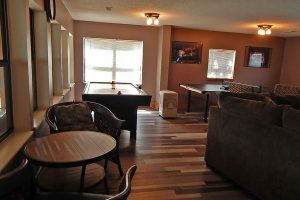 • 1 bedroom queen upper level. 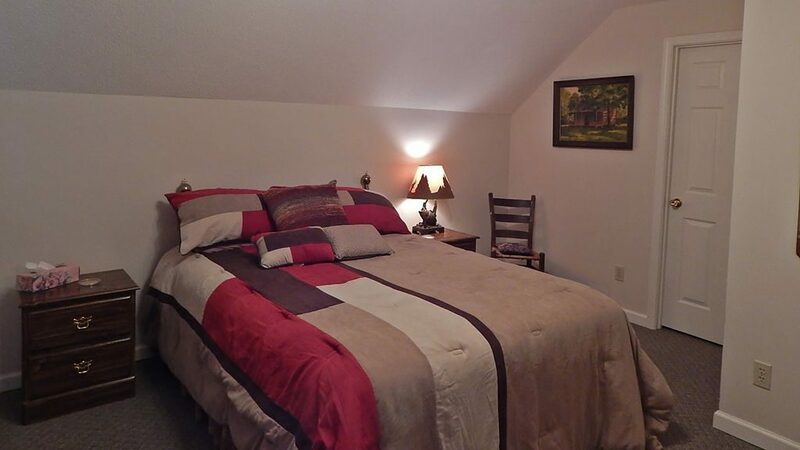 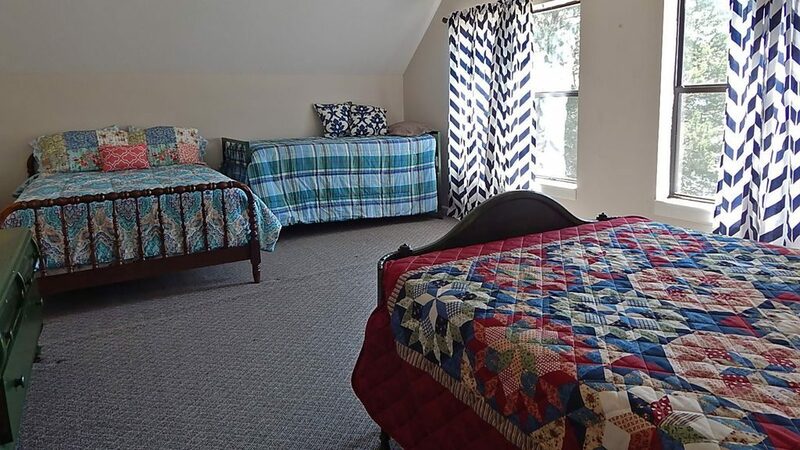 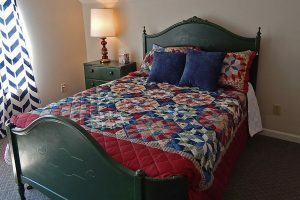 • 1 bedroom has 2 full-size beds and 1 set of twin beds on the upper level. 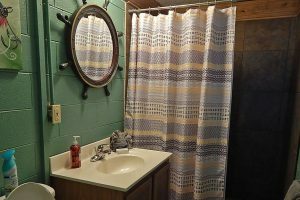 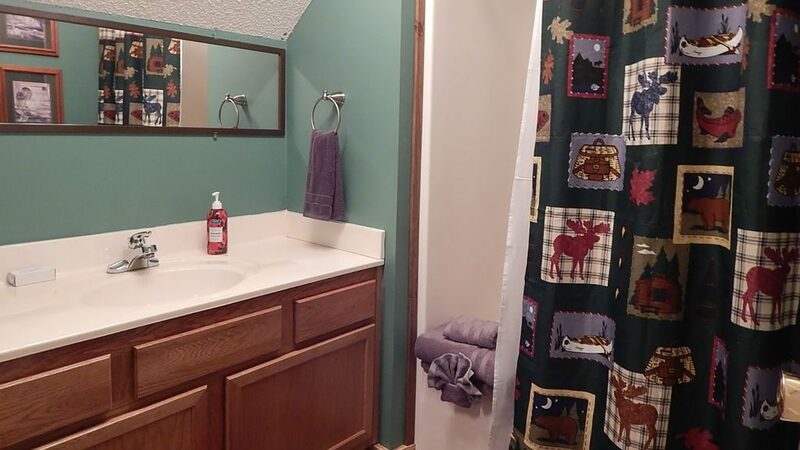 • 1 full bath main level. 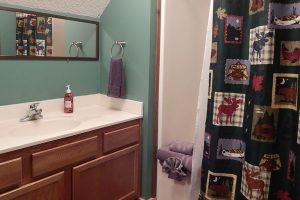 • 1 full bath upper level. 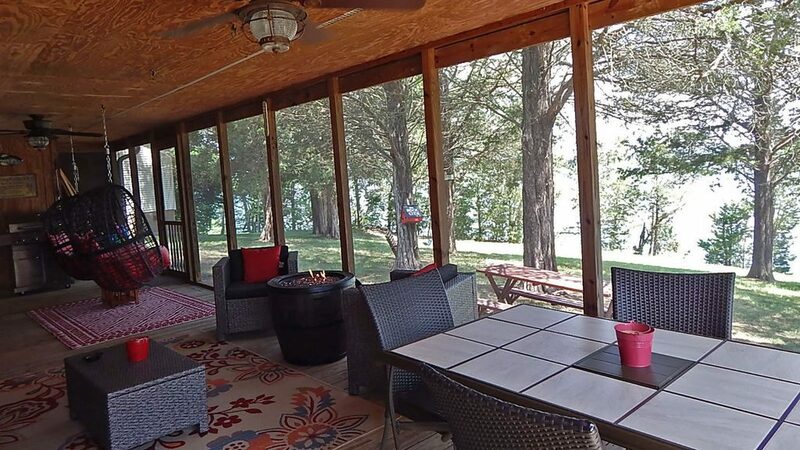 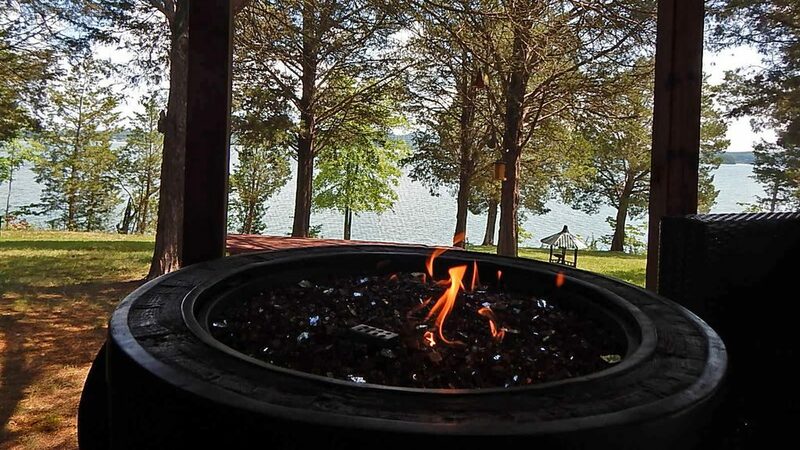 • Year-round lake front views and access. 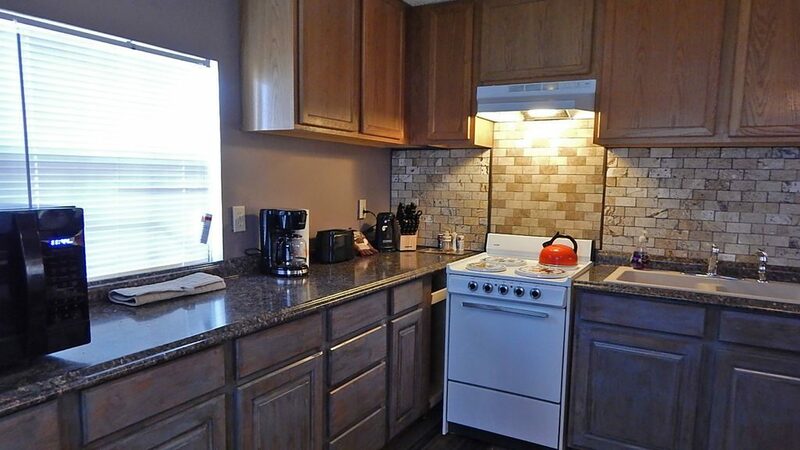 • Microwave, blender, mixer, toaster and coffee pot. 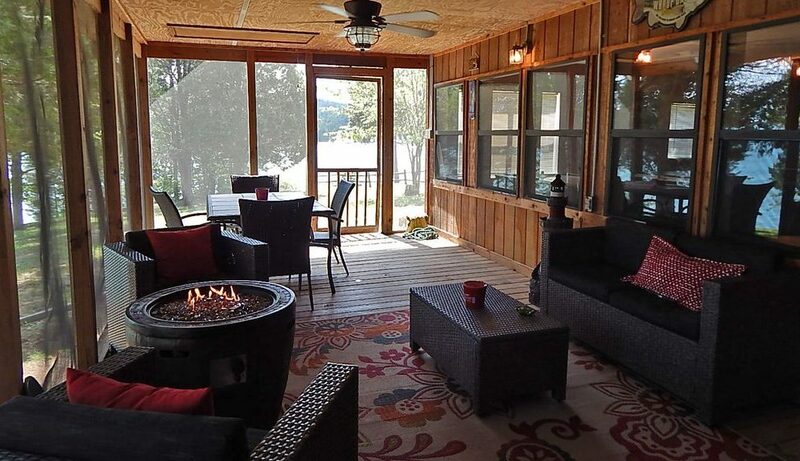 • Ceiling fans on screened-in porch. 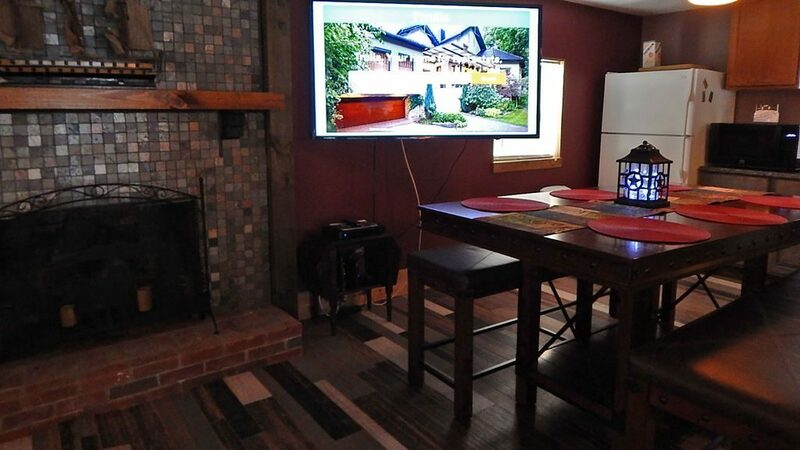 • 1 flat screen 65″ TV. 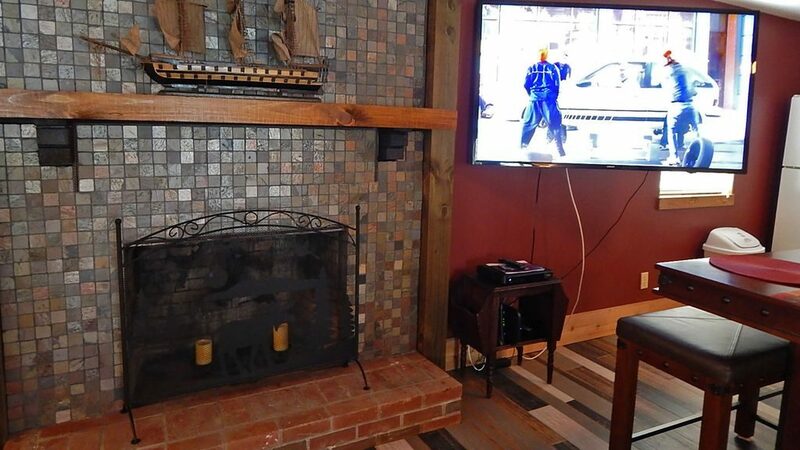 • 1 flat screen 46″ TV. 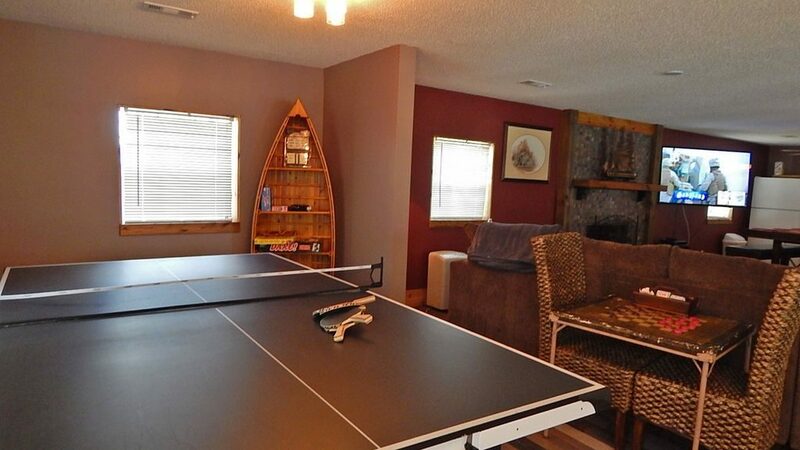 • Picnic table in yard. 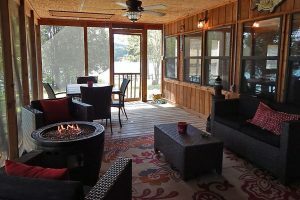 • Picnic table on porch. 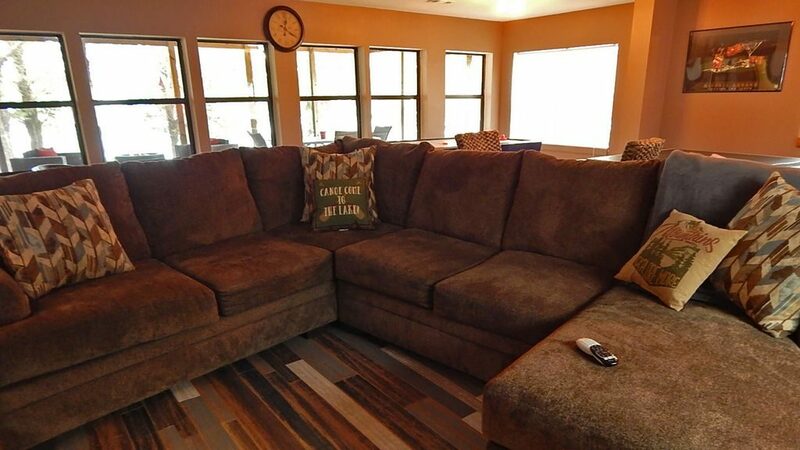 • Couch and chairs on porch. 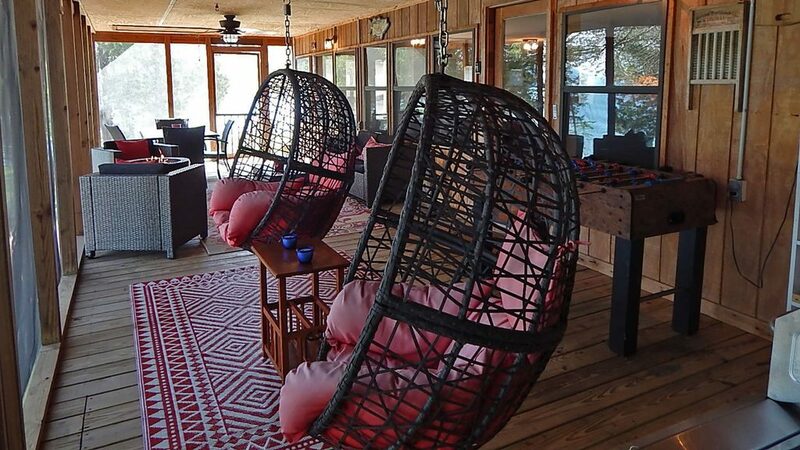 • 2 hanging egg chairs on porch.